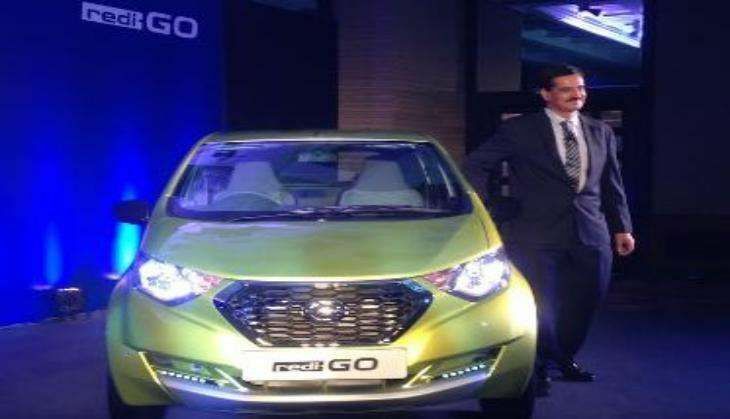 Datsun India, an automobile brand owned by Japanese company Nissan, unveiled its most-affordable car, the redi-GO at Rs 2.38 lakh (all ex-showroom, Delhi) on 7 June. The redi-GO is available in a total of five variants - D, A, T, T (O) and S. The price goes up to Rs 3.34 lakh for the S variant. Nissan Motor India Pvt Ltd Managing Director Arun Malhotra told ANI in an exclusive interview that this new model - styled in Japan and developed and manufactured in India - has a superior mileage of 25.17 kmpl. He added that the company has managed to undercut the competition in terms of pricing with the other automobile companies. "We are redefining conventional expectations and notions associated with the entry level car segment in India with a modern, fresh, stylish and accessible product. The Datsun redi-GO comes at a compelling price point and reaffirms Datsun philosophy of Dream, Access and Trust," Malhotra said. "Besides that the redi-GO embraces safety solutions like shortest braking distance, high strength body shell to absorb impacts, good visibility and wider view of the road, superior suspension system and driver airbag etc. The car achieves a top speed of 140 km/h and offers good balance between handling and ride comfort," he added. The car will be available in five different body colours of white, silver, grey, ruby and lime. D Variant: Rs 2.39 lakh, A Variant: Rs 2.82 lakh, T Variant: Rs 3.09 lakh, T (O) Variant: Rs 3.19 lakh, S Variant: Rs 3.34 lakh.